The 15th Academy Awards had finally recognized the reality of war, at least outside the United States. Mrs. Miniver, which portrayed the British cause far better than any, was the dominant film. In fact, a lot of the winning or nominated films had one of two themes: nostalgia or patriotism. Mrs. Miniver had them both. It also had one of the most infamous moments in Oscar history, to which we'll get back to shortly. One other curious detail about this Academy Award presentation was that it would be the last year it would be a lavish banquet. The war, again, curtailed excessive displays of grandness when men were fighting and dying overseas. Therefore, from henceforth the awards would be in a theater presentation, which is a bit of a shame. Perhaps having dinners would allow for better speeches, but given what a mess Greer Garson made of things, perhaps not. You know that general rule about if two actors from the same role are competing against each cancelling the other out? Well, like I said, there are exceptions, and this is one of them. You had the crusty Grand Dowager role (Whitty) versus the pretty and feisty ingénue (Wright) battling each other out. The fact that one of them doesn't make it to the final reel might be a reason for the way the voting went. 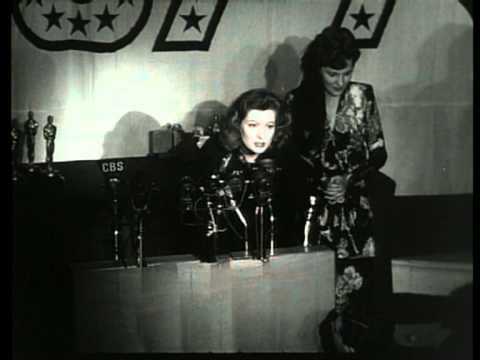 Wright also had the advantage of being nominated in both Supporting and Lead categories, which put her in the odd position of not only competing against her co-star Whitty, but also another co-star (Greer Garson). I think it was pretty clear that Miss Garson wasn't about to lose for reasons I'll go into later. Therefore, with that in the back of the voters, I think this was a 'might as well give it to her for one thing because she's certain to lose for another' victory. It also helps if your nomination is for something where you die. People who die in movies have better odds of scoring nominations and wins. While I find nothing wrong with either Whitty or Wright, I was never particularly wowed by them (and have always felt the romance between Wright's Carol and Richard Nye's Vin the weakest and dullest part of the story). I can't say that much about Moorehead, but one wonders if in her hard exterior there was something softer that denied itself. Well, that's for another time. 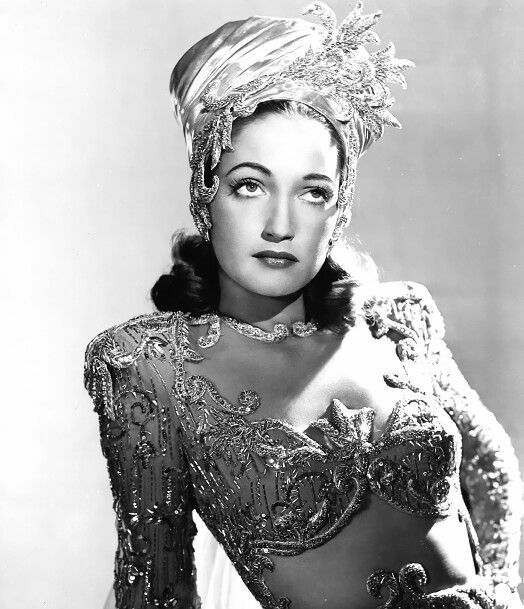 Why would I pick Dorothy Lamour as the year's Best Supporting Actress? Because it's hard to deny the talent it must have taken to be the bread between the two slices of ham known as Bing Crosby and Bob Hope. A constant in many of the Road films, one wonders how she could have gotten through the film with a straight face. Then again, wasn't she playing the straight man? In what can be called a break from the norm, the Supporting Actor winner didn't actually die in the movie. We had at least two nominees who didn't make it to the end, but the winner was Heflin in his only nomination for a gangster film, and moreover, not the gangster, but something akin to his conscience. It's unfortunate that both Johnny Eager and Heflin aren't remembered at all. From what I read, it looks good and even its detractors praise Heflin in the film. I do remember Helfin in a Joan Crawford film where he was the bad guy I think, Possessed. As good as Heflin might be (and so far the raves keep making me think he should be the winner), at heart I'm an old softie. That and the fact that Heflin ISN'T remembered push him down. As such, for the moment I'm going for Travers for his loveable old railway station manager who names a lovely rose after the loveliest woman he's ever met: the Miniver Rose. Comedy is rarely rewarded, which is a shame. As the critic who turned into the houseguest from Hell (which he would have been without an injury to keep him there), Woolley recreated his Broadway role and despite the passage of time there is I think still a vague memory of Woolley (more than, sadly, for Heflin). Maybe it's cheating to make the title character the supporting actor, but somehow I can't quite bring myself to make him the lead. Greer Garson was NOT going to be denied. In the middle of a five-year consecutive run of Best Actress nominations, Garson got it on her third try, with three more nominations to come right after and a fourth in 1960 (her first coming in 1939 for Goodbye, Mr. Chips) The embodiment of MGM female sophistication and class (being British helped in those departments, I imagine), Garson's Kay Miniver WAS the epitome of the British resistance against the Germans. In a time when the war needed heroes (or heroines), Mrs. Miniver fit the mood perfectly. Classy and determined, suffering yet triumphant, Garson gave a magnificent performance, one that is still remembered today (and I think in Britain, still loved for showing what women in The War were like). Also remembered is her acceptance speech. There has been great debate as to exactly how long Miss Garson uttered her thank yous. Some reports I've read had her speaking for a mere five minutes. Others had her going on for an astonishing eight minutes. The Oscar's own website seems to mock the whole thing, claiming that legends have stretched her pronouncements to almost an hour's length. Garson's speech (despite not being fully recorded for posterity, due probably to there simply not being enough film in the camera) has gone down in infamy as a disaster. She, if memory serves correct, wax rhapsodic about the importance of the arts and the importance of collaborate teamwork in film. In her statements (however long they actually turned out to have been), I think she failed to thank Richard Nye, her costar who played her son. The same costar with whom she was sleeping with (despite him being 27 and she 39. Imagine that: Mrs. Miniver as the Original Cougar). To add insult to injury, Garson opened her monologue by saying, "I'm practically unprepared". 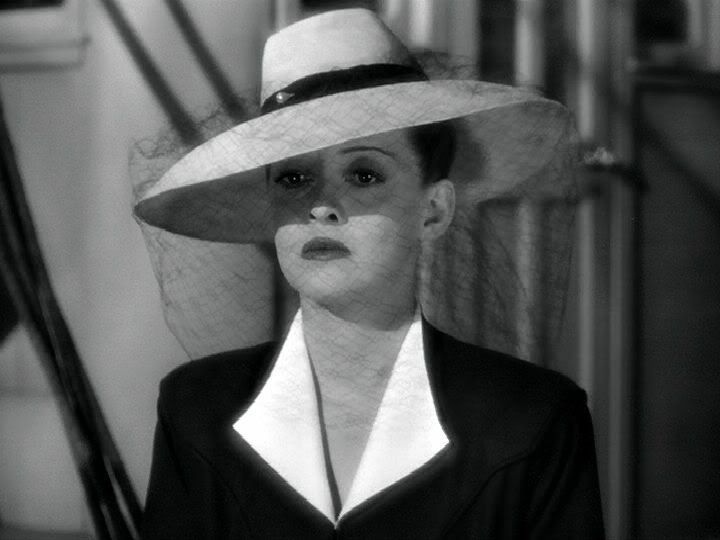 In the history of film, there's been many weepies, but I don't think there's been as big a weepie as Now, Voyager. As the dowdy spinster who finds her inner swan Davis set the standard for women to emerge from the cocoon others placed them in to emerge as the true beauties they were. How can someone NOT respond when she tearfully replies to Paul Henreid calling her 'darling' by saying that her tears were tears of joy because no one had ever called her 'darling'. Granted, it helps when you have Max Steiner's music enhancing the romance, but as she says, 'don't let's ask for the Moon. We have the stars...' again there shouldn't be a dry eye in the house. For those who knew Cagney only as a gangster, it must have been a shock to see him doing a little softshoe and huffing his way as flag-waving Broadway impresario George M. Cohan. The equivalent today would be seeing Hugh Jackman (Wolverine himself) singing and dancing (and kissing a man!) as flamboyant singer/songwriter Peter Allen in The Boy From Oz. However, like Jackman, Cagney had started out as a song-and-dance man, and at one point even performing in drag (Cagney, not Jackman). Cagney needed a vehicle to showcase his singing and dancing skills (and a way to silence critics who suggested he might be unpatriotic for his left-wing politics). Cagney had done musicals before Yankee Doodle Dandy, but by and large audiences (and Warner Brothers) preferred him in grittier roles. However, Yankee Doodle Dandy was right up Cagney's street, and his turn as Cohan has become one of the most legendary in film. Shamelessly patriotic, nostalgic, and questionable in its accuracy, it's still grand entertainment. 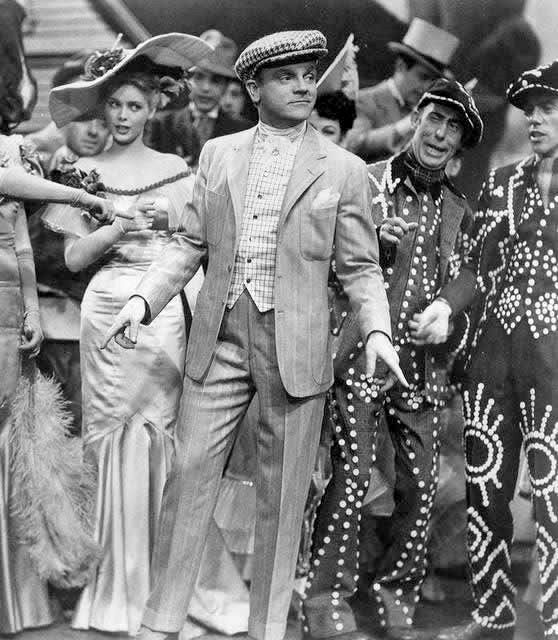 How ironic that in Yankee Doodle Dandy, the framing story involved Cohan's fear that portraying President Franklin Roosevelt (who never did any singing or dancing himself) would be disrespectful, even perhaps slightly treasonous, while today, we have Saturday Night Live and films like W., whose whole raison d'etre IS to be disrespectful to the President. Now, as much as I think Cooper, Coleman, and Pidgeon did great jobs (and each of them worthy of recognition, of which only Pidgeon would be denied), I don't see any of the other nominees being more memorable or powerful or iconic as Cagney. Astaire, like Cagney, sometimes made it all look too easy. Astaire rarely went from his screen image as the consummate dancer. While Bing Crosby got the best songs and Astaire the best dances (watch Say It With Firecrackers to see just how spectacular Astaire was), I think that he was also great in handling the comedy. No, I can't remember any dramatic moments in Holiday Inn, but Astaire is simply too great a talent to be ignored. For three more years I have to endure cataloging this massive number of nominees. I have no idea why the Best Song category had such a large number of nominees while the others had pretty much settled at five. Then again, in future years there would be a mere two nominees, so Best Song isn't the most stable of categories. Now, I think there are some great songs on this list, songs that are still remembered. How About You?, It Seems I've Heard That Song Before, I Got a Gal in Kalamazoo, and the winner, which has become a holiday standard. It's one of the great things about America that the quintessential American Christmas song was written by a nice Jewish boy from Russia. Irving Berlin said that the only memory he had of Russia was of a pogrom, but Russia's loss was America's gain. White Christmas, with its calls to remember winters and dreams of Santa Claus, is so embedded in the American consciousness that it's now impossible to escape the song between Thanksgiving and Christmas. Then again, why would we want to? Curiously, Irving Berlin presented the Best Song category, so he ended up presenting the Oscar to himself! He accepted graciously, commenting that he'd known the winner for some time. From Holiday Inn, White Christmas, Music and Lyrics by Irving Berlin. One of THE great songs of cinema, along with another song that would be spun-off into a great film, Easter Parade. There really isn't a bad director in the lot (no pun intended). Wyler would win the first of three Best Director Oscars for Mrs. Miniver, and one can see why. It's now a little dated and the beginning I found a trifle dull (all that romance between Vin and Carol, especially when Vin really had eyes only for Mrs. Miniver herself). However, seeing the scene where the Luftwaffe was coming close to the Minivers in their bomb shelter is a terrifying and brilliant sequence. At the moment, I find no real cause to displace Wyler from his winner's perch, so I'm leaving him there. However, even with the inclusion of Orson Welles (whom I think could have avoided the horrors he suffered thanks to Citizen Kane if he had made Magnificent Ambersons first), I'm at heart a rank sentimentalist. As such, this selection has me going for my sentimental favorite, Yankee Doodle Dandy, and its director, Michael Curtiz. This is the case of the film audiences needed winning. Mrs. Miniver was a hit, and Churchill called it one of his favorite films (no surprise since it showed the courage of the British during the Blitz). It really is a hard choice because we have some really fantastic films this year. You have one of the great biopic/musicals, the true-life drama of Lou Gehrig, a sentimental love story of memories, and the story of stiff upper-lip resistance. However, this one is based strictly on reputation. 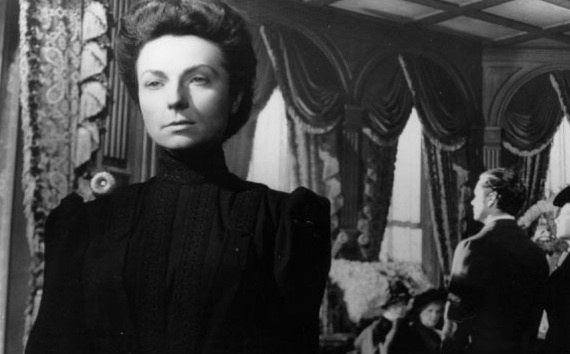 Even in its clunky state, The Magnificent Ambersons is held as a great film. If ONLY Orson Welles had made this first and not gone after William Randolph Hearst, he might have had the career he should have had rather than the one he got. For now, I'm going for The Magnificent Ambersons as the one that should have won. Out of all the films of 1942, I don't think people then recognized just how good and delightful Holiday Inn is and how it has stood the test of time. The only real negative thing in Holiday Inn is the 'Abraham' number and that ghastly blackface (which curiously, an EP Baseball First Baseman as far as I know doesn't consider KKK-related while Gone With the Wind in his mind is. Yes, I won't let that go). Now, I should point out that the film takes great pains to put this blackface in context and it wasn't done with any malicious intent. On the contrary, Louise Beavers' character was treated with great respect. However, the whole number is a bit cringe-inducing, particularly when Beavers sings about Lincoln 'setting the darkies free'. Don't see someone in particular complaining. However, while the 'Abraham' number is a bit shocking to someone who isn't expecting it, on the whole mercifully people don't remember Holiday Inn for this one particular sequence (which I don't mind cutting, something that is controversial given my stand on showing films as they were released). Instead, it's remembered for White Christmas and the joy of the film. Next Time, the 1943 Oscars.